…Traditionally the disciples were said to retreat to an “upper room,” in many accounts the site of what had been their last supper with Jesus, until reports that Jesus’s tomb was empty—and that some in the group had seen and spoken with their slain leader—began to spread. “Essentially, they’re hiding out, but 72 hours later they leave the room having somehow overcome their terror and their grief, their sense of betrayal, ready to preach a whole new doctrine,” said Schenkkan. So what happened in the interim? Given that Jesus is not listed as a character in the playbill, we can assume that Berg and Schenkkan’s answer is not the obvious reverential one. But, as Schenkkan explained, there are sound dramaturgical and even theological reasons to leave the purported grave-break offstage. To read more about THE 12, please visit the American Theatre’s article: http://www.americantheatre.org/2015/03/13/what-would-jesuss-disciples-do-in-new-musical-the-12-they-rock-out/. 3/10/2015 – The Asociación de Periodistas de Teatro (APT) recognizes Álvaro Guerrero and Cecilia Suárez as Mexico’s Best Actors. 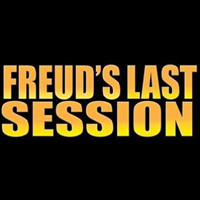 Mark St. Germain‘s FREUD’S LAST SESSION, which starred Sergio Kleiner and Dario T. Pie, won Best Work during the XXXII awards. The awards went out to the best of theater from 2014. The staging that produced Jorge Ortiz de Pinedo beat SUBJECT and MASTER CLASS, works also included in the category. FREUD also received the Best Director award for José Caballero. At the stage to collect the award, Ortiz de Pinedo said that this project could only have been a success because of the work of everyone on the project, including the two splendid actors, who delivered a wonderful display of the text. PALOMA, written by Anne García-Romero, directed by Alan Freeman, and produced by The Latino Theater Company will preview on May 28th-29th. Opening night will be May 30th. Synopsis: Peace among Muslims, Christians, and Jews? It happened once, in Spain, for several hundred years, why couldn’t it happen again? When NYU students Ibrahim and Paloma study an ancient Muslim treatise on the art and practice of love, they debate the complexities of romantic relationships while falling into one. When tragedy strikes this interfaith romance, it tests the limits of love in a post-9/11 world and Ibrahim must seek the help of his friend Jared, a young Jewish attorney, to clear his name. The New Jersey State Council on the Arts has announced their 2015 Artist Fellowship Award recipients. The Council focused on the categories of crafts, photography, and play writing this year. 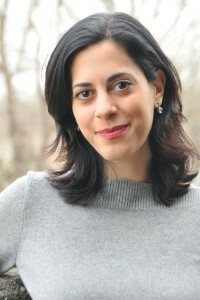 Yasmine Rana (pictured left), as the top winning playwright, has been awarded a grant of $11,500. For the full story, follow the link HERE. The story begins in the second paragraph. Lucy Ross, Natalie Erazo, Susan Sandler, Nicole Quintero Ochoa, left to right. The three-day event is about more than new works from the NYU community. Fusion also gives students and participants a chance to hear from the likes of “Gilmore Girls” creator Amy Sherman-Palladino, “Rizzoli & Isles” creator Janet Tamaro and HBO exec Doris Casap at panels and events. There’s also a “woman of the year” prize that will be awarded to “Frozen River” cinematographer and NYU alum Reed Morano. Read the full article HERE from Variety.